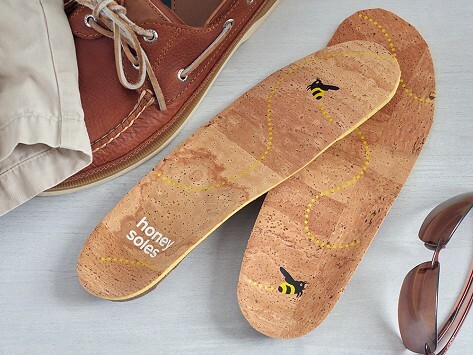 Natural cork insoles are a comfortable step forward for those who love going sock-free. Antibacterial and antifungal cork helps keep shoes fresh by wicking away moisture to control odor and increase breathability. The contoured insoles feel good against feet and are cushioned by a layer of shock-absorbing recycled rubber foam. Added arch support and heel stability help make every step feel good.